Since the liberals came to power in 2003,the equalization received by Quebec has tripled. From four billion dollars in 2003, it will reach twelve billion in two years, according to Philippe Couillard’s liberal government’s very own predictions, as denounced by the MNA (member of the National Assembly) of L’Assomption and the leader of the Coalition Avenir Québec, François Legault. Over the course of 15 years, the equalization cheque sent by the rest of Canada will then have tripled. 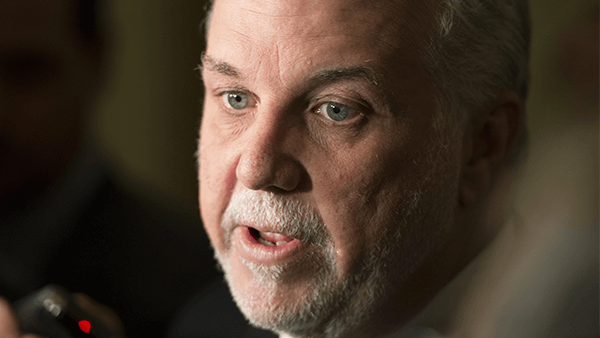 During this time, Philippe Couillard has seen nothing wrong with Quebec remaining poorer than its neighbours, reiterated Mr. Legault. Despite this information, all the the prime minister had to say on the subject of the economy was that the economic growth previewed over the course of the coming years remains feeble, in comparison to the rest of Canada. In their economic update, the liberals anticipate that for the next four years, the growth will be: 1.8% in 2018, 1.5% in 2019, 1.4% in 2020, and only 1.2% in 2021. François Legault has indicated that Quebec not only has demographic problems, but productivity issues as well. This is the reason for which eliminating the wealth gap between Quebec and the rest of Canada must be a priority of the Quebec government.